We contacted London Translations recently to assist with the translation of several documents into English at short notice. Alex Cazacu was extremely helpful and ensured that we received a quotation within an hour. 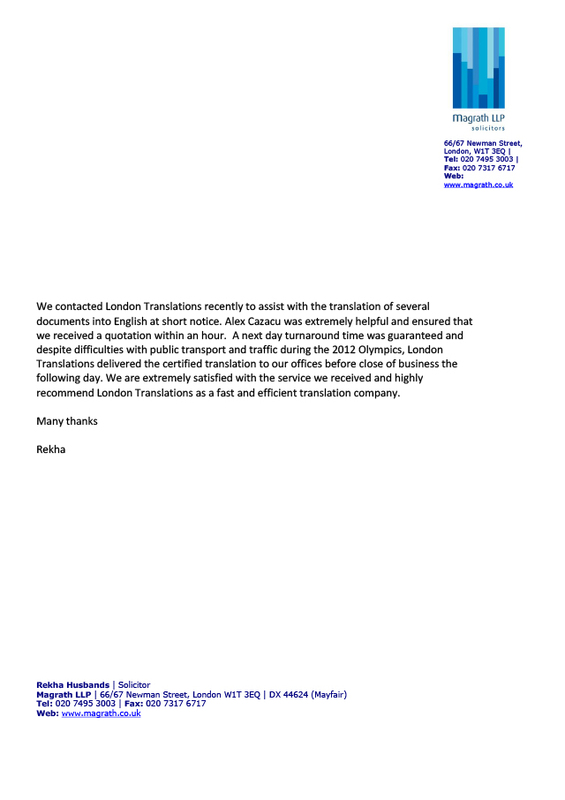 A next day turnaround time was guaranteed and despite difficulties with public transport and traffic during the 2012 Olympics, London Translations delivered the certified translation to our offices before close of business the following day. 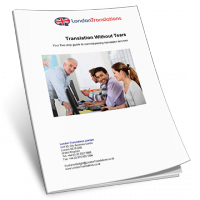 We are extremely satisfied with the service we received and highly recommend London Translations as a fast and efficient translation company.